The singer was forced to disable her Instagram comments section. Mac Miller is being mourned worldwide after passing away of an apparent overdose yesterday. His fans are experiencing turmoil to the point of needing someone to blame for the rapper’s untimely death. Many of these individuals chose his ex-girlfriend Ariana Grande as a prime suspect to that end.Ariana and Mac seemed inseparable during their romantic relationship that lasted two years. After facing some challenges together, including the Manchester bombing, the couple called it quits in May 2018. Despite their being separated for only a matter of days, Ariana started dating Pete Davidson. The new lovers then got engaged shortly after. Fans of Miller’s assume that their icon died from a broken heart, insisting that the rapper would still be alive if it weren’t for Grande’s “evil” actions. One social media user goes as far I accusing her of murder:” It’s funny because you actually did kill him.” The “God is a woman” singer finally disabled the comments section function on most of her Instagram posts to stop the flood of hate. 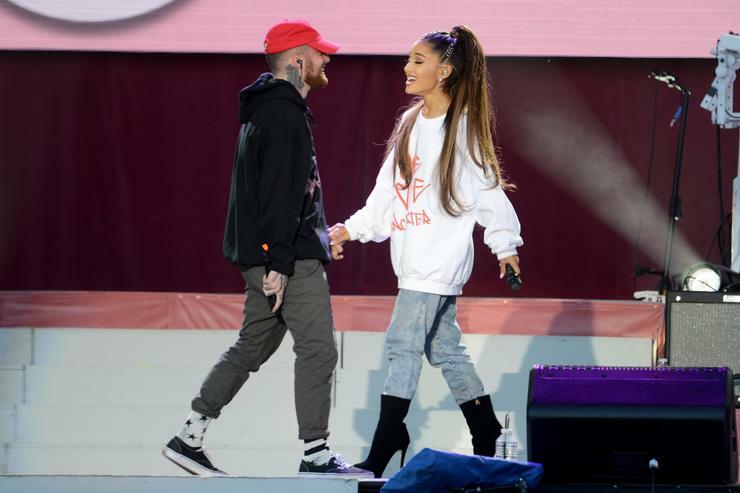 Ariana Grande has yet to comments on Mac Miller’s passing. Many artists have come through with beautiful messages in honor of Mac after his death. A roundup of Hip Hop’s response to this tragedy is available here.